GIS Services is committed to finding the best solutions for the client's requirements while anticipating future needs, in a world of a rapidly expanding range of geospatial tools. GIS Services provides commodities specializing in mobile data collection, services, and training for implementing and integrating solutions with GIS, GPS, and imagery. Geographic Information Systems are designed to capture and analyze, geospatial data. Our GIS applications allow users to create interactive queries in order to analyze spatial information and display it in myriad ways to enhance location intelligence. Whether you are needing geospatial information for engineering, planning, management, transport/logistics, insurance, telecommunications, or other business, GIS Services has an array of products. With GIS, two- and three-dimensional characteristics of the Earth's surface, subsurface, and atmosphere can be modeled to relate climate events. For example, a GIS can quickly generate a map with isopleth or contour lines that indicate differing amounts of rainfall. A two-dimensional contour map created from the surface modeling of rainfall point measurements may be overlaid and analyzed with any other map in a GIS covering the same area. This GIS derived map can then provide additional information - such as the viability of water power potential as a renewable energy source. By analyzing topological relationships, spatial modelling can be performed between geometric entities to determine such things as adjacency, containment, and proximity. Geometric networks are linear networks of objects that can be used to represent interconnected features, and to perform special spatial analysis on them. A geometric network is connected at junction points, similar to graphs in mathematics. Just like graphs, networks can have weight and flow, which can be used to represent road networks, public utility networks. GIS hydrological models can provide a spatial element data that other hydrological models lack, adding variables such as slope, aspect and watershed. Terrain analysis is fundamental to hydrology, since water always flows downward. Slope and aspect can determine direction of surface runoff and flow accumulation. Cartographic modeling is a process where several thematic layers are produced, processed, and analyzed for simulation or optimization models. By overlaying vectors data can be extracted and used in either vector or raster data analysis. Rather than combining the properties and features of both datasets, data extraction involves using a "clip" or "mask" to extract the features of one data set that fall within the spatial extent of another dataset. Interpolation is the process by which a surface is created, usually a raster dataset, through the input of data collected at a number of sample points. Digital elevation models, triangulated irregular networks, edge-finding algorithms, Thiessen polygons, Fourier analysis, (weighted) moving averages, inverse distance weighting, kriging, spline, and trend surface analysis are all mathematical methods to produce interpolative data. Geocoding is interpolating spatial locations from street addresses, ZIP Codes, parcel lots and other address locations. Reverse geocoding is used in returning an estimated street address number as it relates to a given coordinate. multi-criteria decision analysis supports analysis of alternative spatial solutions, such as the most likely ecological habitat for restoration. Cartography is the design and production of maps, or visual representations of spatial data. High-resolution satellite imagery on a global scale. Offering the largest collection capacities and quickest return time to any place on Earth. World-class elevation data covering the entire globe. Software built for easy integration and rapid distribution of massive images, including multispectral and LIDAR data. Compress, manipulate and deliver imagery throughout your organization. The ideal digital camera for rugged environments. Waterproof, resistant to shocks, dust, chemicals and cold weather, it comes equipped with Bluetooth and wireless LAN capabilities. 360° Rapid Imaging: Fully automatic, instant, 360 degree panoramic imaging system delivering high resolution spherical images in seconds. The complete line of Pentax cameras. Connect ArcGIS desktop with GIS cloud services. Create high quality 3-D scenes directly from your GIS data. Remote-controlled multi-rotor miniature aircraft for aerial mapping. Perform project-level aerial mapping with this remote-controlled miniature airplane. A digital pen that quickly converts handwritten text and drawings into digital format. Geo-registered PDF documents for location intelligence, geospatial collaboration, and field data collection. Let our experienced instructors come to your office to deliver beginning, intermediate, or advanced training in a variety of geospatial technologies. Learn GPS data acquisition and GPS/GIS integration with expert training videos from GeoMattix. Half-day and full day workshops demonstrating the integration of multiple geospatial technologies. Measure the height and record the details of any object from hundreds of meters away with this amazing handheld device. 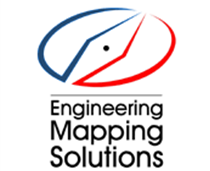 Expert GIS consulting, data conversion, and web mapping from Engineering Mapping Solutions. Copyright © 2014 l GIS Services.